Cardiothoracic surgery is developing a national approach to utilize simulation in an organized fashion for resident education. Through the Grateful Donors Program at the University of Rochester Medical Center we have purchased a computerized high-fidelity Ramphal pig heart simulator and developed a course to enhance skills for cardiothoracic and general surgery residents. Together with general surgery we have developed a robust simulation program to enhance laparoscopic, thoracoscopic, robotic, general surgical techniques, and critical care skills. These skill sets are essential for the everyday performance of cardiothoracic surgery and the care of post-op patients. 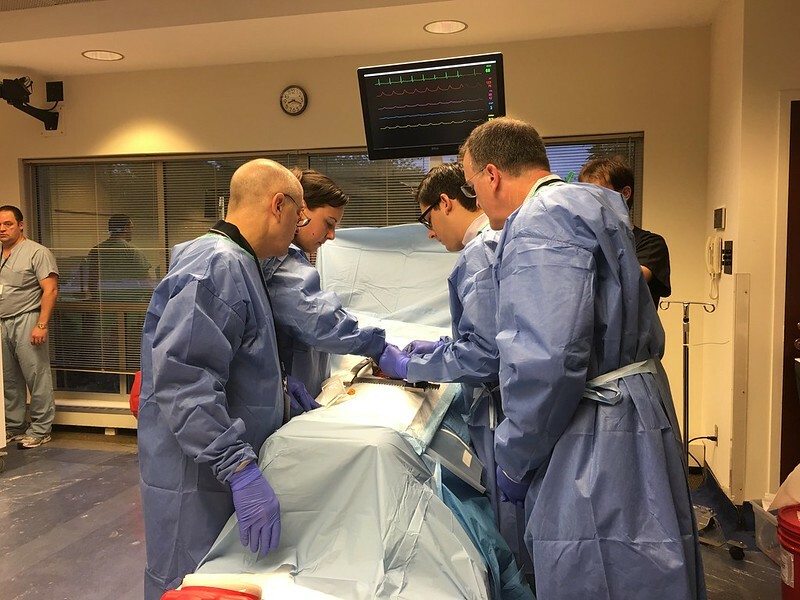 Simulation represents the most important change in traditional curricula allowing residents to develop and master new skills outside the pressured environment of the OR or ICU.